When Oceansouls of America announced their upcoming interview with Nightwish, one thing we wanted to do in order to make our very-first interview unique: we took questions submitted from fans all over the world. We were curious to know not only how fans were reacting to the new album, tour, and upcoming film, but what other kinds of things did Nightwish fans want to know about the band? What kinds of things would a fan ask, if given the opportunity to approach members of their favorite band and ask them anything they’ve ever wanted to know? Would they ask serious questions? Would they want to know something completely off-the-wall? This would be our opportunity to find out. What better way to discover the answers to these questions than to get it from the source? We talked to Tuomas Holopainen, the band’s main songwriter, keyboardist, and the center of all things Nightwish; just hours before the band’s official start to their Imaginaerum tour. Two days prior, the band had played a secret show in Hollywood under the pseudonym Rubber Band of Wolves---which was not such a secret by the time the band hit the stage---for their first live performance in over 2 years. C: Seeing as how you lived in the U.S. for a year in your youth as a foreign exchange student, how does it feel to bring your brand of metal back to the place where your love of metal music began? Tuomas: I just…I love the U.S., and I love the country, and it’s always a pleasure coming here. I really mean it; it’s one of my favorite countries in the world. The people…how you guys do theme parks, for example. I was at Universal [Studios] for 2 days…yeah, I’m a theme park fanatic, so this is my heaven. So yeah, it all started in Kansas City; 17th of September, 1992. Fan Question (OSA member Desirée Smith; Lee’s Summit, MO; U.S.A.): How much of a culture shock was it coming to the U.S. when you were a teen? I'm from the area you stayed (Missouri/Kansas), what were your impressions of the area? Tuomas: It was a huge shock. The thing is, I came here when I was 15, and I was quite a different person back then. Well, not that different; but back then, I was incredibly shy. I remember that during the year that I was here, I didn’t make but one friend, for example, besides my host family. You know, I didn’t hate anybody, nobody hated me; but I was just a quiet kid in the school corridors. I really was just playing the clarinet in the band, and being real, real quiet. So that’s what I remember; that everything was so new, and I was quite scared. It was truly a nice lesson of independence and everything. Afterwards, I’d been thinking that maybe I did it, like 1 or 2 years too early. I was just so secluded. But only good memories living here; fantastic host family and everything. C: When will you be returning for a full tour of the U.S./North America? Tuomas: Most likely next fall. I mean, they have already planned some dates and cities, but nothing’s been announced yet. But, like 99% sure that it’s gonna happen next August, September, October; something like that. C: This show at Gibson will be the band's first opportunity to bring their elaborate stage show to their American audience. What kind of things can we expect tonight? While it's likely that much of it will be part of the stage show for this tour, are there any special surprises that will be exclusive only to this show? Tuomas: We had some big plans, but then we got the budget and we had to cut a lot of that away. I’m being really honest here. Because, for example, pyrotechnics, they cost about four times here, more than in Europe. So there was no way we could pay for…astronomical, the expenses. So we basically just have flames, some confetti…but that’s it. We couldn’t bring the screens, for example; there’s no way. It’s the first time we have fire on U.S. soil, so that’s something special. Fan Question (Sherry; Pennsylvania, U.S.A.): What is your ideal audience? Tuomas: I would say the audience like last Thursday, 2 days ago. I mean, it wasn’t the best show we ever did, but the feeling of intimacy was there. 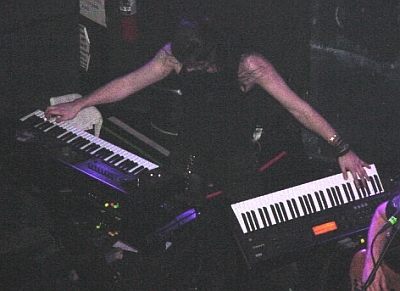 People were so warm and so…I mean…I was just, like, fighting with my fingers because they wouldn’t go to the right keys at all, and I was kinda scared; first show and everything. But when you look at the audience, they gave us so much energy and warmth. It was really wonderful; really touching. So, small intimate clubs of about 700 people going crazy, that’s the best. Fan Question (Danilo Oliveira from São Paulo, Brasil): Any wishes to do a show with a live orchestra? Do you have your hearts set on just with the London Symphony, or would you consider another orchestra if the opportunity arose? Tuomas: I would really love to do it with the London Symphony; we have used the same guys and girls for the past 3 albums. So yeah, we want to do it with these people. But on Imaginaerum, the big thing is, naturally, the movie. So I don’t think we’re gonna realize that during this tour. C: Seeing as how the Imaginaerum movie was filmed in Canada, is there a likelihood of the movie being shown in Canadian theaters? Is there any possibility of the movie being shown in theaters throughout other North American countries? Tuomas: I have my doubts, I really do. I’m sure it will be shown in theaters in Finland; it’s gonna be quite an event over there, no doubt. But maybe Canada, because it was shot in Canada. But I would be highly surprised if it got any kind of theatrical release in the U.S. or UK or Europe, even. Because, I mean, it’s a lot on the “cult” side; it doesn’t really have “blockbuster” written all over it. But you know, when we have asked the directors, “does this movie have any chance of hitting the theaters?”, they always say, “give us a 2-minute trailer and we’ll decide”. So we’ll know more in March, when we get the trailer done. C: For those countries that will not get the opportunity to see the Imaginaerum film in theaters, how long will they have to wait for the DVD? Any idea of when fans can start anticipating a DVD release? Tuomas: Absolutely; that’s gonna be the main event; wild guess would be at the end of this year, before Christmas. Maybe early 2013. C: So far, details about the movie have been rather hush-hush. Is there any "breaking news" that you would like to give here and now, for the first time? C: Do you like what you’ve seen so far? Tuomas: I really like it, yeah. 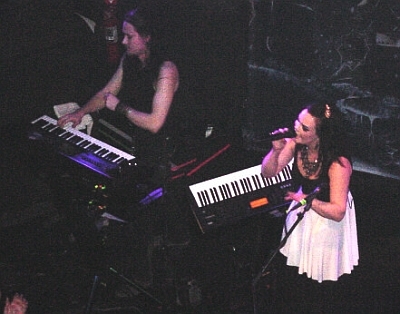 Fan Question (OSA member Carl from Long Island, NY; U.S.A.): As someone who very much enjoys "Slow, Love, Slow", and jazz in general, I was wondering about the thought process that led you to this kind of a song within the context of Nightwish. Did you expect this to be controversial with some fans, and would you like to explore this direction further? 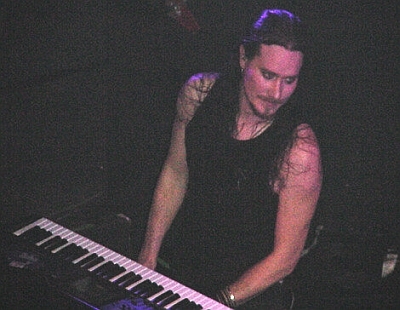 Tuomas: It was just made for the story. I had this vision about an American jazz club in the ‘30s, where all kinds of weird stuff is going on. It was just a vision, a real David Lynch kind of thing. I had no understanding of the jazz music genre, so let’s give it a shot. It was a big challenge for the band, and you always want to challenge yourself. So I really like the result, and it’s by far the biggest surprise of the whole album. The reaction in Key Club 2 days ago was like, ‘wow, I actually like this’. It’s pretty cool. Fan Question (OSA member Falyssa from Lawton, OK; U.S.A.): Have you written any other songs that didn’t make it onto the album, that you will release as bonus tracks later on? Tuomas: We don’t have any bonus tracks, not a single one. We just did those 13 songs, and that’s it. But we are coming up with a separate score album, because all the music that you hear in the movie are the same songs, but completely rearranged. We’re going to release the score album with those songs. Fan Question (Dark Passion Site Spanish fan club member Elena Martinez from Madrid, Spain): Now you have reached the dream of making an original soundtrack for a movie, knowing you are a huge Disney fan, I wonder if you've considered making the OST for an animation film, or even playing the voices of an animated character? Tuomas: With my verbal skills, no. [Laughs] The soundtrack thing is very much alive, but the overdubbing and everything, no way. But thanks for asking! Fan Question (Escapists Brasilian fan club member Carlos Valverde from Cuiabá, Mato-Grosso, Brasil): Making a movie based on a disk is very innovative. What was the biggest challenge in this endeavor? Fan Question (…continued): Original ideas on the script of the film have changed a lot in pre-production? Tell us about this process. Tuomas: Not that much, we had to cut about 40 pages in the end; again, because of money. And the only thing that really was left out completely from the original idea was the “Ghost River” scene, because it’s so expensive. Again…money, money, money. But that was the only thing; all the other original visions are included in the movie, one way or another. Fan Question (Escapists Brasilian fan club member Carolina Tanabe Cervantes from Miracatu, São Paulo, Brasil): Well, as we know, the theme of the album is related to dreams, imagination, as its name says. I wonder if the stage at the shows will have a special decoration, clowns performing with the band like a circus, as the clip "Storytime", we have this kind of surprise? Tuomas: You are gonna see 6 clowns onstage, that’s for sure. [Laughs] But nothing that special; there’s gonna be pyro, screens, little props here and there. We’re trying to create this magical world to the stage as well, but nothing overly theatrical, so to say. Fan Question (Escapists Brasilian fan club member Carolina Maximo Arpini from Vila Velha, Espírito Santo, Brasil): In my opinion, Dark Passion Play was an album full of sorrow with a little bit of anger. 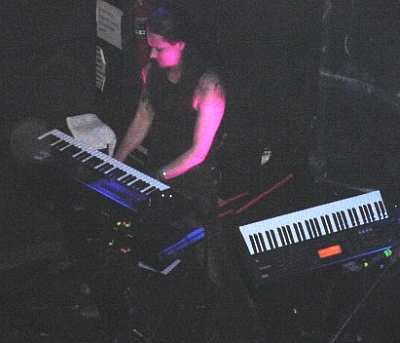 But now, in Imaginaerum, all energy changed: sorrow gave way to hope and there is a full harmony sensation in each song. 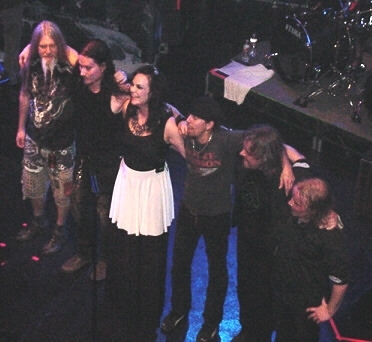 So, the question is: what changed since Dark Passion Play, in your head and in your heart, to have such a wonderful change in Nightwish’s music? Tuomas: I just don’t want to go through the Dark Passion Play era, ever again. That’s something I decided when I started to do the songs for the new album; not all this melancholy…well, not melancholy, that’s good. But enough of the anger, and sorrow, and being really, really depressed all the time. I mean, it’s just a waste of life. So we deliberately decided that OK, let’s do the more optimistic album. Which doesn’t mean that it’s, like, all positive and just major chords. Melancholy and sorrow and darkness needs to be there, but the overall feeling is so much more optimistic. It’s all about imagination and the beauty of the world and all that. Fan Question (OSA member Michèle Stenberg; Helsinki, Finland): Are there any songs you don't like to perform, or are tired of performing? 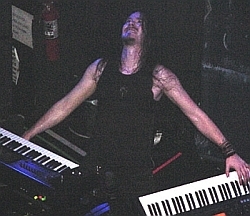 Tuomas: “Wishmaster”. It’s just that we decided with the band that let’s, on this tour, let’s just do the songs that everybody enjoys doing. Because that’s how you keep up the energy, and the smiles, and it reflects to the people. So, ‘who wants to do “Wishmaster”?’, nobody raised their hands. Some other songs as well; for example, I wanted to do “The Wayfarer”, we even practiced it. It was Marco who said that this is not a really good song. I really like that song, and I wanted to do it, but yeah, they were like, ‘maybe something else’. And then it was Anette’s idea, that why don’t we…because everybody was sick and tired of “Nemo” as well…let’s re-arrange it, acoustic. C: Any of the older songs you’re considering performing? Tuomas: Not that much anymore, because like I said, we just want to feel comfortable about doing the songs, and…I mean, we have practiced “Ever Dream” and “Come Cover Me” and all this other stuff are still there. But at least for the first few shows, we’re gonna do it like this, to get the routine. Fan Question (Official forum member Emma; Sydney, Australia): If you could be anyone or anything for a day, what would it be? Tuomas: I’d love to be myself, 20 years ago. Fan Question (OSA member Desirée Smith; Lee’s Summit, MO; U.S.A.): On the last line of "Song of Myself": "...and there forever remains that change from G to Em, were you referring to the scales like a musical metaphor? (The same F# accidental..) Or am I reading too deep? Tuomas: Well this is a good time to reveal this also, because G major to E minor is one of the most beautiful chord changes there is, in my opinion. And the main character's name in the movie is "Gem". When you see the movie you will understand a lot more. She is the daughter of the main character in the movie, she is called Gem. And it all makes sense once you see the movie, especially the last scene. C: We received “location requests” from both Australia and Brazil. When are you playing those particular areas? Tuomas: We haven’t any concrete dates yet, but both of those countries will most likely happen during this tour. Maybe at the end of this year; early 2013. That’s the best I can give you right now. Special thanks to Roadrunner Records and Sonic Cathedral!